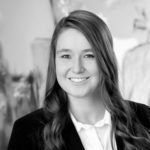 Haley Jochum serves as a Client Servicing Representative for Carlson Capital Management. Haley is the welcoming colleague you will see when you visit our Rochester office and one of the voices you may hear when you call into the firm. She is responsible for office management, hospitality, scheduling meetings and preparing materials for client presentations. Haley is also a primary contact for account openings, fund transfers and other client account servicing needs. In addition, she works with the Rochester advisory team and specialists by handling key administrative functions. Haley is a graduate of Minnesota State University in Mankato, Minnesota where she earned a Bachelor of Science degree in Sport Management. During her time at Minnesota State, Haley was involved in the Econ Club, Sport Management Association, Rock Climbing Club and the Gamma Phi Beta Sorority. Haley also worked as a marketing and promotions intern for the athletic department, and spent summers as an event operations intern with the Rochester Amateur Sports Commission. Haley worked in the bakery at Hy-Vee for six years, at both Mankato and Rochester locations, until joining CCM. Haley enjoys being active in the community. Over the years she has volunteered with many local organizations such as Rochester youth sports, the United Way, and Gillette Children's Specialty Healthcare. Haley currently volunteers with the organization "Girls on the Run." In her free time, Haley enjoys playing and coaching softball, playing volleyball, and spending time with friends and family. She also teaches both competitive and recreational classes at a dance studio in Rochester. Haley grew up in Rochester, Minnesota and is happy to have returned there after college.